Hi, are you looking for an easy way to transfer your contact from old cell phone to your iPhone? Many people continue to have the problem of migrating their contact from their classical phone to an iPhone. 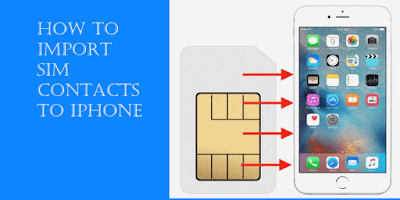 if you fall into this category or you are just helping someone who does, then you will have to follow a step by step guide for transfer contacts from old simple phone to an iPhone. This process will involve importing contacts from the SIM card of that older phone. This process is very important because it allows the user to bring their old contacts stored on a SIM card to the new iPhone easily. Another reason why this tutorial is useful aside from that initial migration, a scenario where you’d want to import SIM contacts that you don't really use again and it has been laying around, while it contains some useful contact of family and friends. Is Awesome that you can accomplish the importation process by placing the other SIM card into the iPhone and then using an iPhone feature to import contacts from that SIM card to the iPhone. This is an easy and fast process, as we’ll walk through the entire process. The SIM card containing the contacts should be inserted into the iPhone and if it requires resizing by cutting to micro or nano ensure you do that, Otherwise copy the contact to a compatible SIM (Miro or Nano. Note: you can repeat this process to move all you contact from your old phone to your new iPhone as SIM card has a maximum contact limit of 200 or 250 depending on the carrier network ( you the Move contact option in your old phone to avoid duplicate) You can do this at any time to bring contacts from an old SIM card over to an iPhone, so if you have old Nokia or any classic phone somewhere you might be able to get those contacts onto the iPhone using this simple process. The contact transfer process is is fairly easy and fast, though if the SIM card contains a ton of contacts on it it may take a moment or two for the iPhone to complete the process of sync all the contact details from the SIM. In addition, any contacts imported from the old SIM card will be added to existing contacts already on the iPhone, will not cause overwrite existing contacts. How do I copy my iPhone contacts to a SIM card? 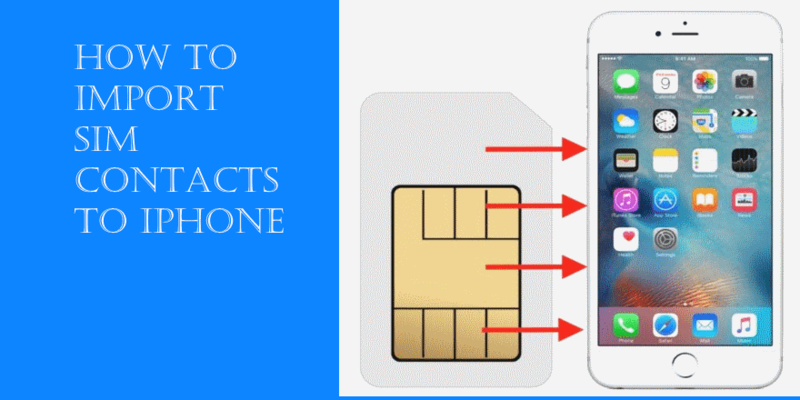 We just showed you a guide on how to copy contacts from a SIM card to an iPhone, however, what if you go the other way and want to copy iPhone contacts to a SIM card? Well, it turns out you can’t do that in iOS device, and while older iPhone models may be able to accomplish dumping contacts to a SIM card by using a low-level iOS software modification. This is not applicable with the modem iPhone as the space on the SIM card is very negligible for all the contact. The reverse process is only possible when you have an Android phone. iPhone contacts can be converted to VCF and transfer to Android Phone, then transfer to SIM card, you can also do this by sending contacts from an iPhone in VCF format through text message or email, and VCF contact details can be opened and utilized on many different types of cell phones even simpler older models. Any questions or comments about importing contacts from a SIM card to an iPhone or Android? Any experience or tips about how to make this an easier process for those migrating from an older device to a new iPhone or a used iPhone? Let us know in the comments.